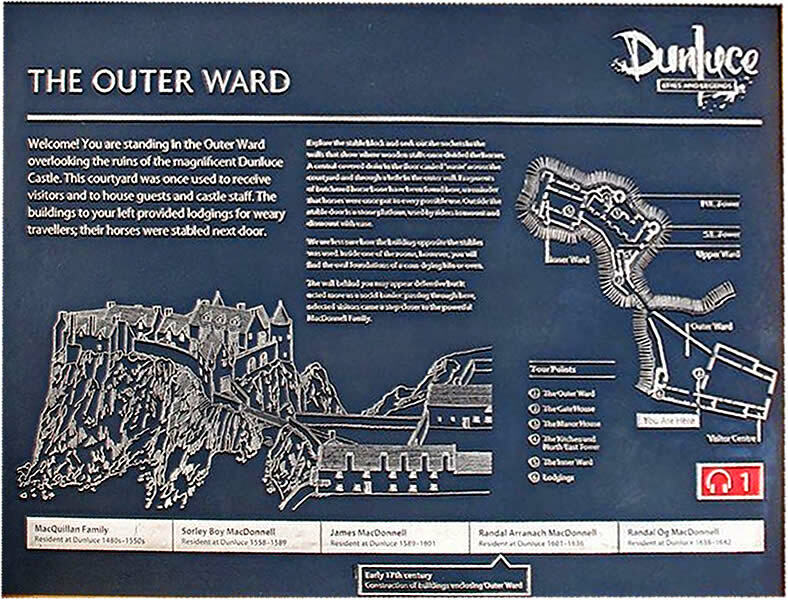 Dunluce Castle site dates back to before 1513, when the McQuillan family is first documented as resident when they were Lords of the Route, northwestern County Antrim. They may have built the two 30’ wide drum towers. In the 1200s, Richard Óg de Burgh, 2nd Earl of Ulster, built a castle or added to this earlier castle, depending on what book you believe. 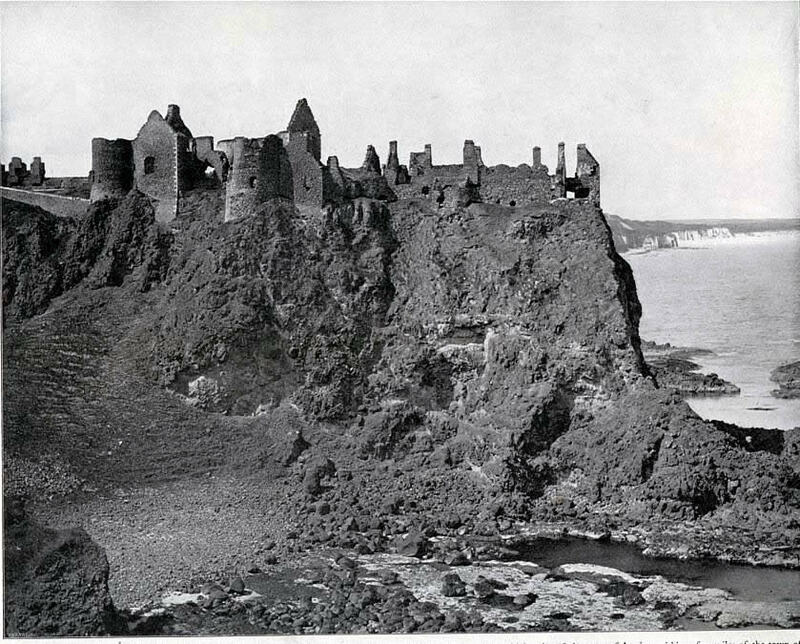 Dunluce Castle changed hands a few times, belonging to various Cans from Scotland, before it was seized by Sorley Boy MacDonnell. The McDonnell clan held territories in Ireland and Scotland. 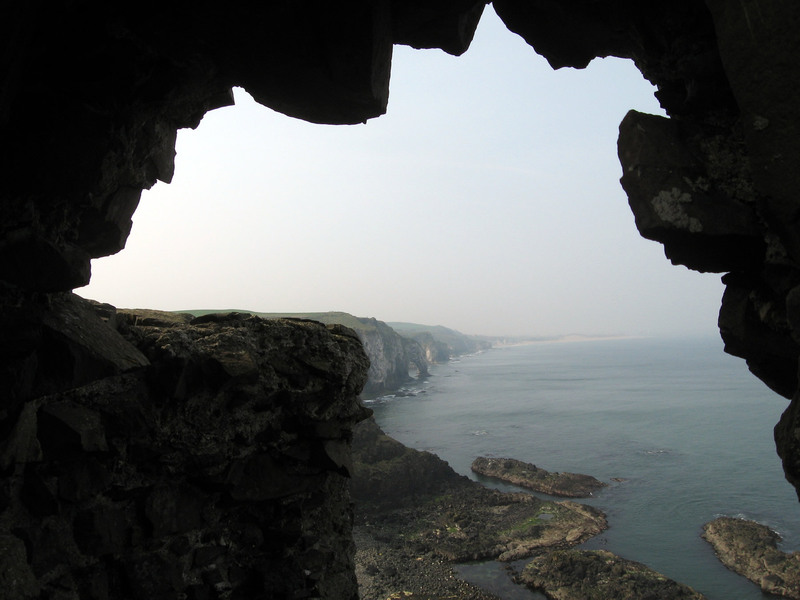 Dunluce Castle was Sorley Boy McDonnell’s base when came from Scotland to consolidate the Irish territory.  Its situation was very defensible. I was told that at one point the kitchen fell into the sea and the Queen refused to live in the house any longer. She went back to her father’s house and would not come back to the King until he had built her a new Palace further from the cliffs. This cannot be possible, since the kitchen is still there. In the 1700s, the north wall collapsed into the sea, but the family had already moved out nearly 100 years before. 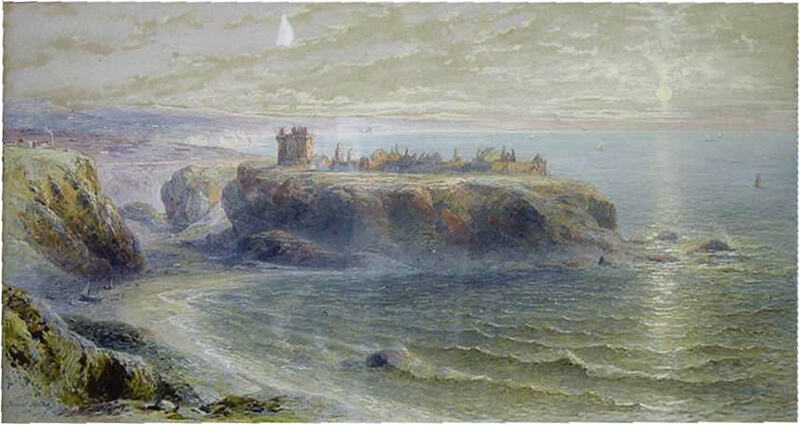 It appears the cliff had not collapsed yet in paintings from the late 1700s and early 1800s. 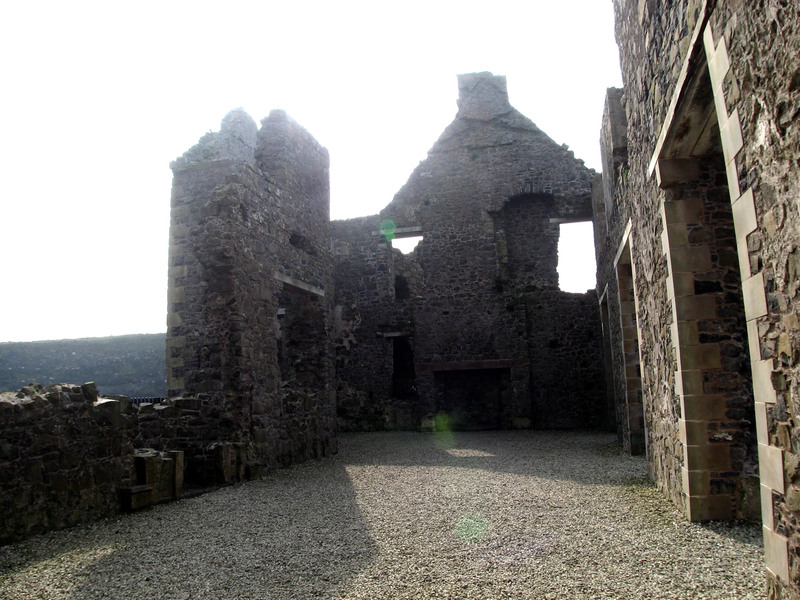 In the late 1600s Sorley Boy’s grandson, Randall MacDonnell, 2nd Earl of Antrim abandoned Dunluce Castle and moved to nearby Ballymagarry House. 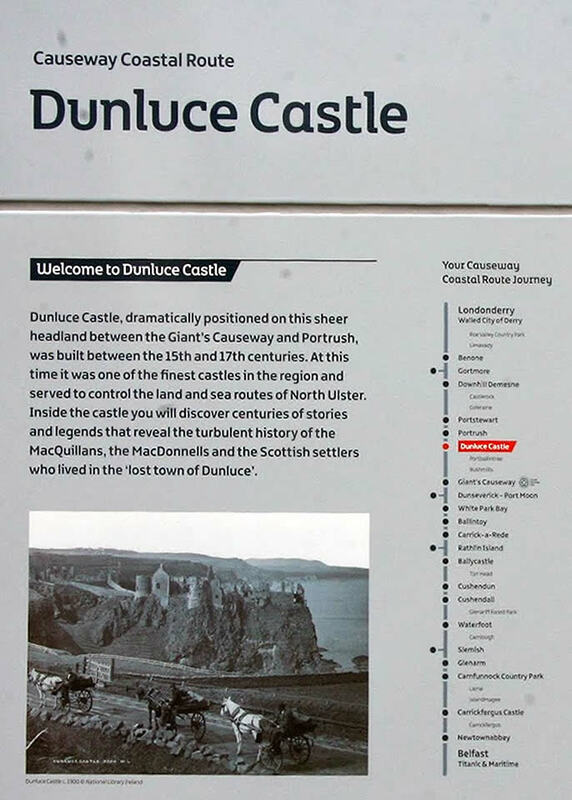 Dunluce Castle still belongs to the McDonnell family. 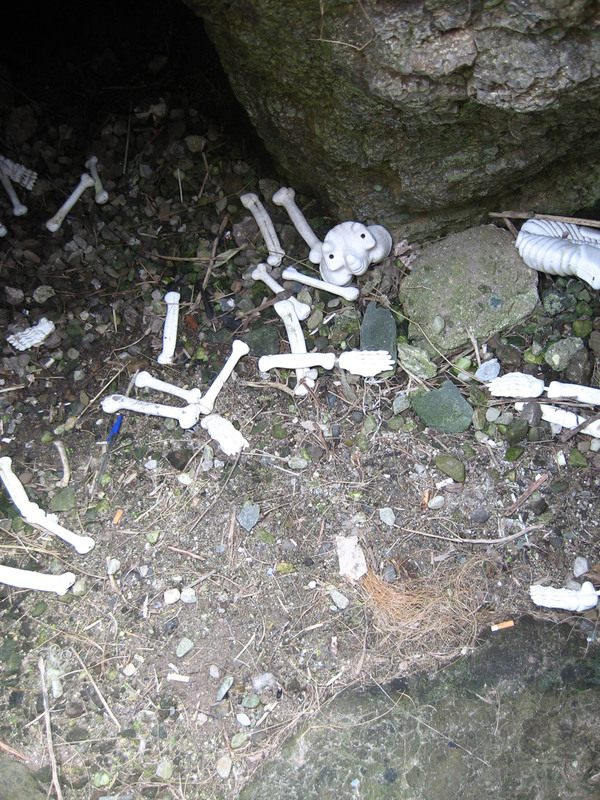 It is managed by the Northern Irish Environment Agency. The inside cover art of Led Zeppelin’s album was shot at Dunluce Castle. The outside cover art was shot at Giant’s Causeway. Look familiar? Aubrey Powell of Hipgnosis took the photos for Led Zeppelin’s inside cover art at Dunluce Castle. The cover was shot at Giant’s Causeway. 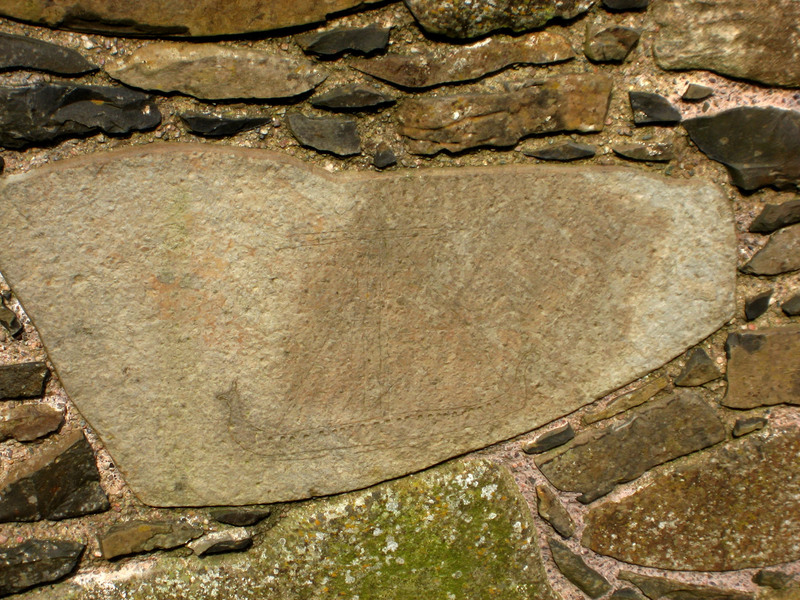 There is a scratched in mark on a rock that looks like a Viking ship or galley. No one knows the story. 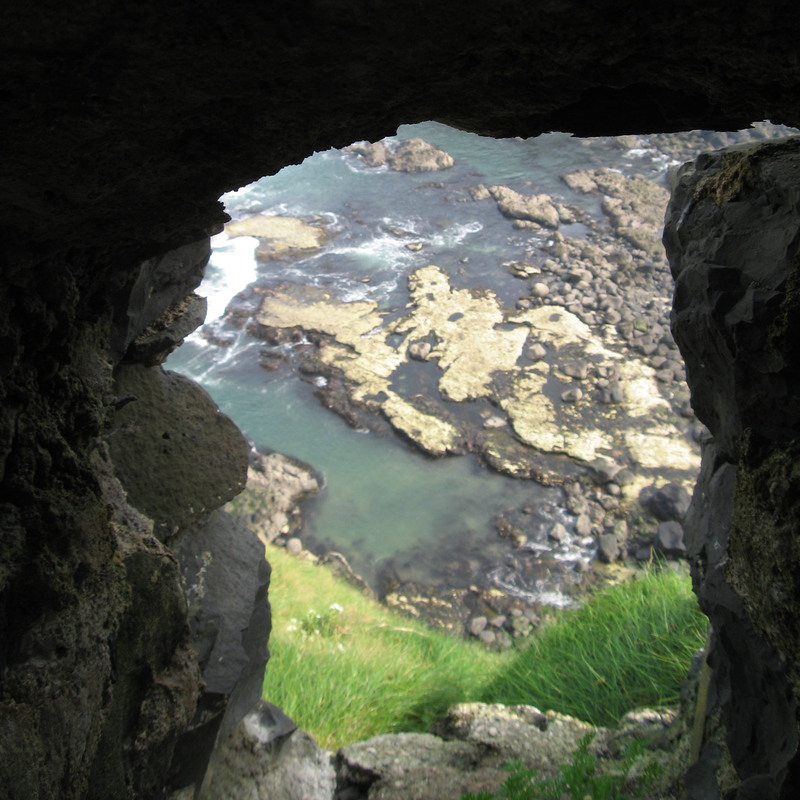 Dunluce Castle is said to be the inspiration for Cair Paravel Prince Caspian, one of CS Lewis Narnia books.